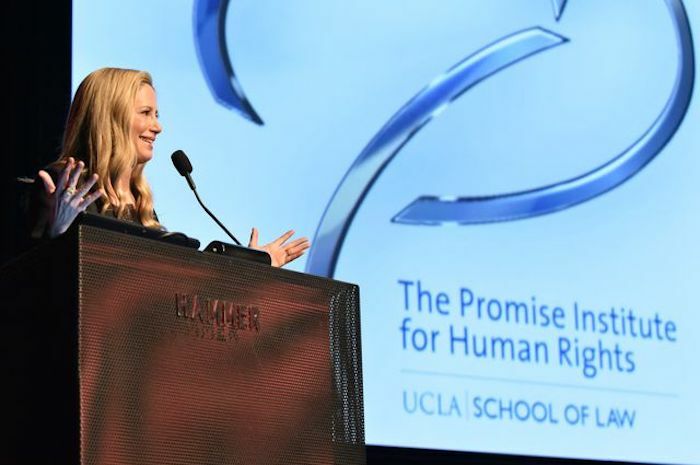 Academy Award-winning actress Mira Sorvino and a host of preeminent artists and lawyers who use movies and television to spread stories of social injustice shared the secrets of their craft at a March 16 summit at the Hammer Museum at UCLA. Featuring panels on the law, economics and art behind works that drive social change, “Lights. Camera. Reaction. 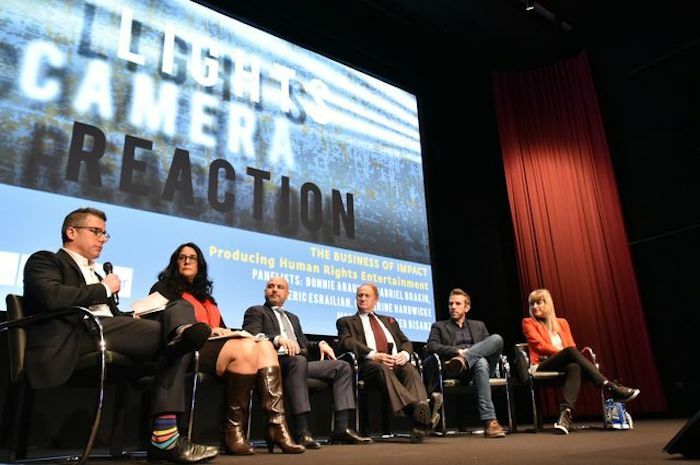 : The Art of Impact in Entertainment” was presented by the Promise Institute for Human Rights at UCLA School of Law; the Skoll Center for Social Impact Entertainment at the UCLA School of Theater, Film and Television; and the arts nonprofit Creative Armenia. Sorvino, a United Nations goodwill ambassador and longtime campaigner against human trafficking, received the inaugural Promise Institute Award for Contribution to Human Rights Through the Arts. In accepting the award, the “Mighty Aphrodite” star detailed the abuses faced by women she has met in her travels for the U.N. and while working on films about human trafficking. She encouraged members of the audience to take action. “The filmmakers in this room have all made incredible contributions to changing the world [by] enlightening their audiences through an artistic depiction of a terrible issue,” she said. Panelists who participated in the summit included filmmakers Edward Zwick (“Glory” and “Blood Diamond”), Amy Ziering (“The Invisible War” and “The Hunting Ground”), Dr. Eric Esrailian of the David Geffen School of Medicine at UCLA (“The Promise”), Mike Medavoy (“The Promise”), Catherine Hardwicke (“Thirteen”), Evgeny Afineevsky (“Winter on Fire”), Terry George (“The Promise” and “Hotel Rwanda”) and Reginald Hudlin (“Django Unchained” and “Marshall”); actress Angela Sarafyan (“The Promise” and “1915”); activist and public relations specialist Bonnie Abaunza; entertainment attorneys Kelli Sager of Davis Wright Tremaine and Gabriel Brakin of Participant Media; and the leaders of UCLA Law’s Documentary Film Legal Clinic, “Frontline” special counsel Dale Cohen and entertainment law specialist Daniel Mayeda. Panelists share their views on the business of social-justice entertainment. 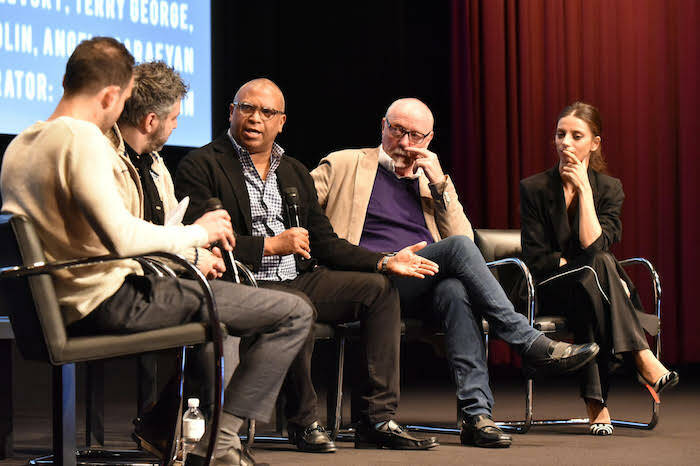 Cohen, whose clinic offers free legal services to independent filmmakers, moderated a panel on navigating the legal minefields when making movies that confront human rights violations. The clinic’s services are increasingly vital, panelists made clear, in an era when major studios don’t produce impact movies like 2006’s “Blood Diamond,” which tackled the gem trade in war-torn Africa. 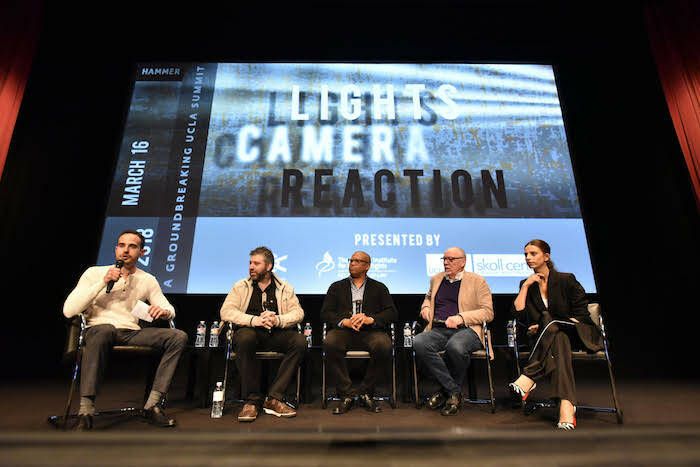 Other panels featured several members of the creative team behind the 2017 movie “The Promise,” which was the first major motion picture to tell the story of the Armenian Genocide of the early 20th century. That project served the cause of social justice in two ways: It highlighted a historic atrocity that is poorly understood, and its proceeds went to support a number of human rights organizations, including the Promise Institute at UCLA Law. 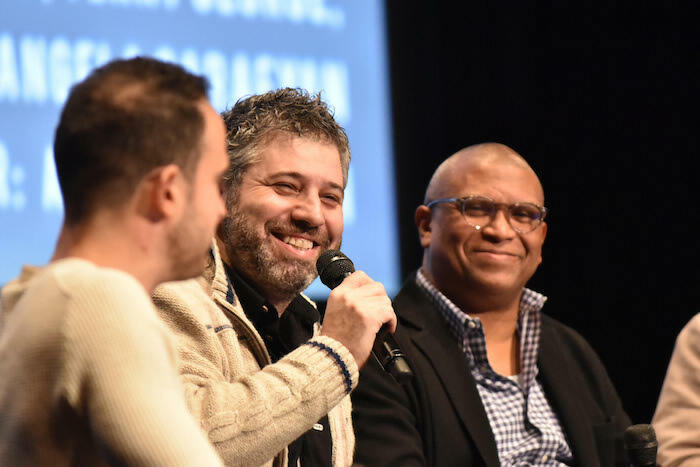 Alongside “Promise” producers Esrailian and Medavoy, Skoll Center executive director Peter Bisanz moderated a discussion on the business of making movies with a message. Abaunza and Brakin, who graduated from UCLA Law in 2005, detailed how social-impact tools like music videos, retail products and strategic use of digital platforms can be key to activating audiences. 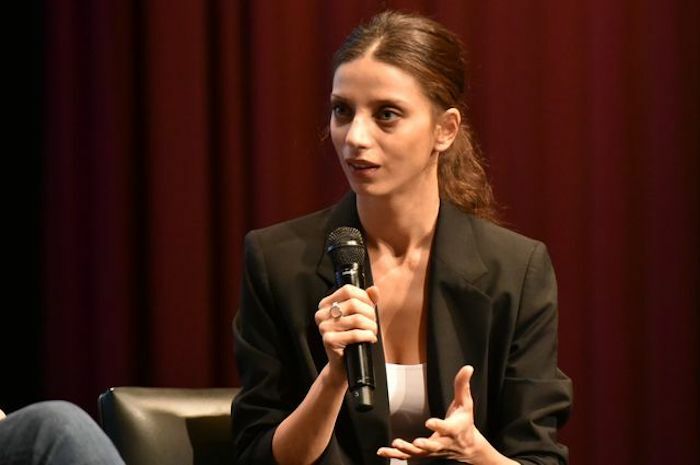 Angela Sarafyan discusses her roles in “The Promise” and “1915,” which detailed the Armenian Genocide.